Gary Numan is headed back out on the road. Numan announced on Friday a new slate of live U.S. dates in support of his latest album Savage (Songs From A Broken World). The tour, which runs a little more than a month, is currently scheduled to launch September 4 in Santa Ana, California and run through October 6 in Los Angeles, California. It also includes stops in Kansas City, Missouri; Washington, D.C.; Seattle, Washington and other cities. The tour’s current schedule is noted below. The end is near! The end of the year that is. The end of 2017 is only 48 hours away at the time of this post. With time quickly ticking away, there is still a lot of work for this critic to do with year-ender lists. Considering this, we’ll get right into it with one last list for the year’s new albums in the form of the year’s top new albums overall. This list was perhaps the most difficult of all for this critic to assemble. That is because of the amount of top quality material released across the musical universe this year. From punk to pop to jazz, world, rock and more, there were a lot of great records released over the past year. Keeping this in mind, coming up with this was no easy chore, to say the least. It was finally accomplished, though, and includes titles from the worlds of rocks, jazz, country and even world music. Leading off this year’s best new album — in this critic’s ears and mind — is Ala.Ni’s debut album You & I. This record is a beautiful work that despite being marketed as jazz, could just as easily fit into any adult contemporary pop radio station’s rotation. Also included in this year’s finale are new releases from country music superstar Chris Stapleton, New Orleans-based singer/songwriter Marc Broussard, emo-punk band Young Fox’s new album and much more. As with every previous list, this list features this critic’s Top 10 choices as well as five additional honorable mention titles for a total of 15 titles. Without any further ado, here for you is Phil’s Picks 2017 Top 10 New Albums. That’s it, folks. As noted, this was not an easy list to assemble by any means. Trying to determine which albums likely would have a certain amount of longevity through through musical and lyrical messages was a tough task. 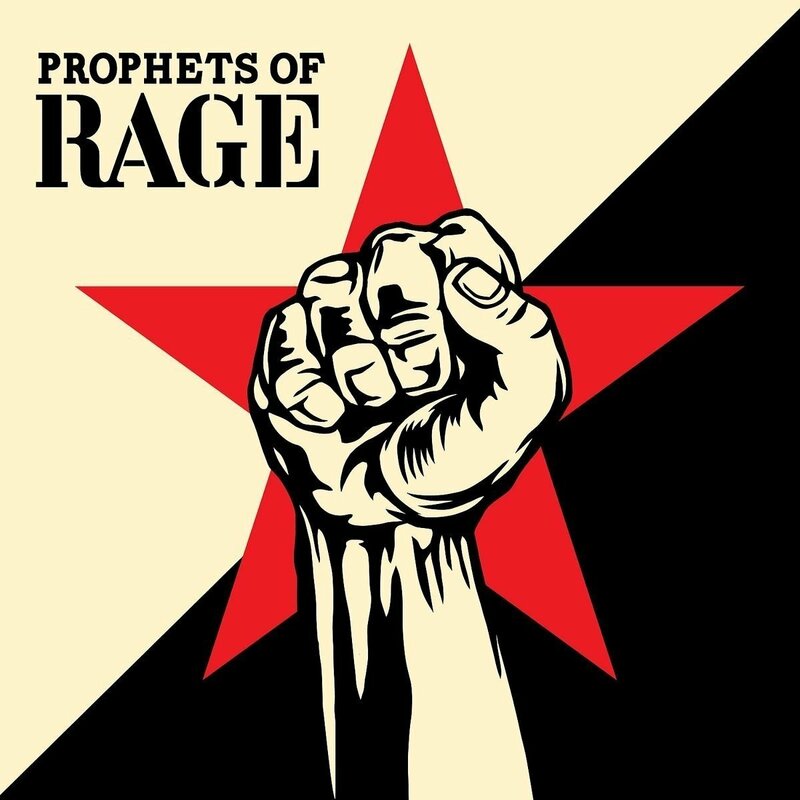 One cannot ignore the fact that what with the nation’s current political climate, the second coming of Rage Against The Machine was one of this year’s most important and standout efforts. In the same breath, the gentility and beauty offered by Ala.Ni, Jazzmeia Horn and Diana Panton makes their albums certain to stay in peoples’ minds and ears. Fer Isella’s new album, while instrumental is like the soundtrack to any major Hollywood drama such as Bridges of Madison County and other similar movies. The jazz fusion feel of Nova Collective’s debut record and the prog rock of Scale The Summit’s latest record stand out just as much. Mike Mangioni & The Kin may stay under the radar, but that’s just fine with this critic. The group’s new album is a great independent offering. Dishwalla’s new album is a wonderful return for the band while John 5 & the Creatures’ new album is yet another example of how truly talented the guitarist truly is and that he made the right decision leaving Marilyn Manson’s band. It is easy to go on and on about every album noted here. Regardless of the band’s fame, the fact of the matter stands that each album listed here is one that this critic feels is impacting and important for the given act and for the music community in whole. That being the case, this list stands as this critic’s best new albums of 2017. Now with all of the music stuff out of the way, it’s on to a handful of DVD/BD titles including best new box sets for families and for grown-ups, best new DVDs/BDs for families, and even best new documentaries. So stay tuned for all of that! Christmas has officially come and gone. So has Hanukkah. The presents have been opened and decorations likely have started being put away. Even despite that, Phil’s Picks still has some gifts of sorts for everyone out there in the form of some more year-ender lists. Considering that time is so tight, some of the lists, it turns out, might have to be ignored in favor of some others. One of the lists that definitely will not be ignored before the year lets out is that of the year’s top new rock records. The titles included in this list are separate from the year’s top new hard rock and metal albums. Phil’s Picks has a list of those albums on the way. Before getting to that list though, the focus here will be on the year’s top new rock records. 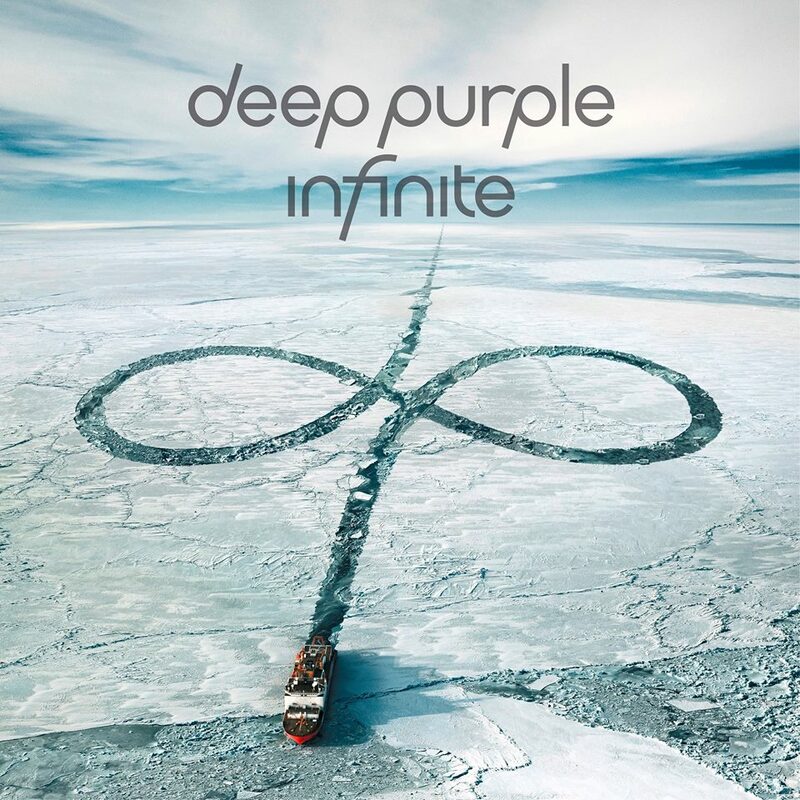 Topping the list of this year’s best new rock records from this critic is Deep Purple’s latest (and likely last) full-length studio recording InFinite. The album was just recently re-issued with the band’s latest live recording The inFinite Live Recordings Vol. 1 only months after the album’s original release. The record’s oftentimes blues-based rock arrangements show this band is at the top of its game, even as it seemingly winds down its life. The lyrical themes exhibited throughout the album are just as interesting as its musical arrangements. It is definitely a memorable recording that deserves every accolade. Also on this critic’s list of the year’s top new rock albums is Foo Fighters’ latest effort Concrete and Gold. This record is more proof of the band’s willingness to try new things and grow on each album and the success that can and does come with that willingness to branch out, rather than churn out the same thing time and again. It’s just one more of the albums on the list this year. Also included in this year’s list are new albums from Scale The Summit, Prophets of Rage, John 5 & The Creatures and a number of others. As with every list from Phil’s Picks, this list features the Top 10 best new albums in its category plus five honorable mention titles for a total of 15 albums. Now with all of that having been said, presented here is Phil’s Picks 2017 Top 10 New Rock Albums. Royal Blood — How Did We Get So Dark? That’s all for this list. It is not the last list, though. There are still lists for the year’s top new hard rock and metal albums, the year’s top new albums and select DVD/BD lists. As many lists as possible will be posted up from here on out, so stay tuned for all that and more. Gary Numan is giving audiences yet another preview of his new album. The veteran performer and musician debuted this week ‘What God Intended,’ the second single from his upcoming album Savage (Songs From A Broken World). The song is a start departure from the album’s lead single, ‘My Name Is Ruin’ as is evidenced in the song’s arrangement. Numan explained the arrangement in his own words in a a recent interview about the song. Numan will embark on a North American tour this fall and winter in support of Savage (Songs From A Broken World) beginning Nov. 15 in San Diego, CA. The tour is currently scheduled to run through Dec. 16 in Austin, TX and includes stops in Chicago, IL; Atlanta, GA; Minneapolis, MN and a number of other cities. The tour’s current schedule is noted below. Gary Numan debuted the video for his latest single ‘My Name Is Ruin’ this week. The video comes only weeks after he first premiered the song, which is the lead single from his upcoming album Savage (Songs From A Broken World). The album is currently scheduled to be released Sept. 15 via BMG Music and will be available on Cd, deluxe CD, double vinyl, cassette, digital and MFit platforms. Its full track listing is noted below. The video – directed by Chris Corner — places Numan and his daughter Persia in the post-apocalyptic world described in a recent interview in which he describes the album’s concept. It is a vast, empty wasteland of deserts and mountains that heightens the emotion in the song’s arrangement and lyrical content. Audiences can view the video online now here. Numan will hit the road this fall and winter in support of his new album for a roughly monthlong North American tour that begins Nov. 15 in San Diego, CA. The tour runs through Dec. 16 and currently includes performances in Seatlle, WA; Houston, TX; Brooklyn, NY and a handful of other cities. The current tour schedule is noted below. Tickets are available now for all dates, and can be purchased here. Gary Numan is giving audiences their first taste of his next new album. The veteran rocker debuted this week, the lead single from his forthcoming album Savage (Songs From A Broken World), which is currently scheduled to be released Sept. 15 via BMG Music. The album’s lead single, ‘My Name Is Ruin’ is streaming online now here. The song conjures thoughts of Fear Factory’s cover of Numan’s hit classic song ‘Cars,’ which was included in the band’s 2001 album Obsolete. That is due to the song’s electronics-infused arrangement and Numan’s own vocal delivery style. Making the song even more interesting is that Numan’s 11-year-old daughter Persia provided backing vocals for the song. An official video for the song is forthcoming, too, and an announcement about its premiere will come soon. 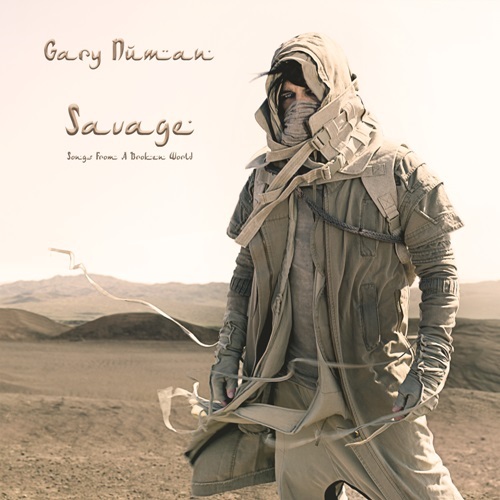 Savage (Songs From A Broken World), Numan’s 22nd full-length studio recording, is a semi-concept record that is set in an apocalyptic, post-global warming world in the not-too-distant-future. Much like in the classic Mad Max movies, technology is gone along with food, water and basic human decency. The Eastern and Western world have become one, more out of necessity than anything else. According to a news release about the album, it was being written in the wake of Donald Trump’s rise to power in America. It states Numan felt Trump’s dangerous views of climate change served as the basis for the album’s theme. Savage (Songs From A Broken World) was produced by Numan’s longtime collaborator Ade Fenton, with the album being recorded in Los Angeles and in the U.K. Numan praised Fenton for his work ethic, saying that ethic is what has made the pair work so well together for so long. Numan’s new album will be released on CD, Deluxe CD, double vinyl, cassette, digital and MFit formats. Its track listing is noted below. 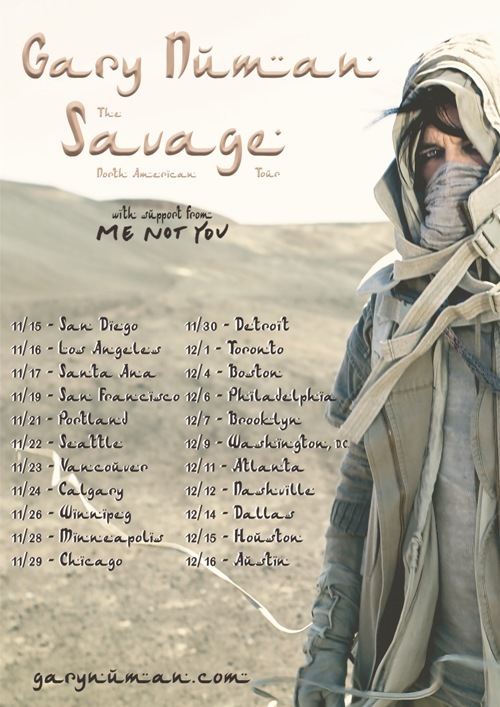 Numan will hit the road this fall in support of Savage (Songs From A Broken World) beginning Nov. 15 in San Diego, CA. The tour starts in San Diego, CA before heading up the west coast and into Canada for a short stint north of the border. The tour also includes dates in the Midwest, Northeast, Southeast and Southwest, ending Dec. 16 in Austin, TX. The current schedule for Numan’s upcoming tour is noted below. Tickets are on sale online now for each date here. Courtesy: Machine Music USA, Inc.
Gary Numan debuted the video for his new single ‘I Am Dust’ this week. The video, directed by Logan Owibeemoth, presents Numan, can be viewed online now at http://www.brooklynvegan.com/archives/2014/04/gary_numan_made.html. It presents Numan performing his song against a series of vintage VHS style video effects. The effects were done by Omebi Velouria, using a Tachyons+ video glitch synth to get the vintage effects. Tachyons+ is actually a group of individuals that takes vintage video gear and alters it to generate whole new methods and means of video editing. The effects used for Numan’s new video were done using a Tachyons+ video glitch synth done live using HI-8 camera and a standard CRT television. The full image was captured using a digital camera. No computer post production was used in the creation of this video. 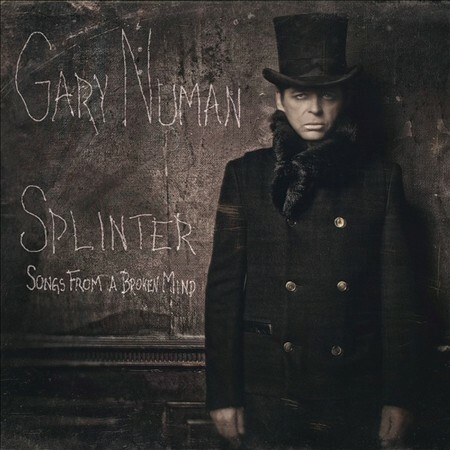 Gary Numan is currently touring in support of his latest full-length album, Splinter (Songs From a Broken Mind). He will be performing live today at The Firebird in St. Louis, MO. That performance will be followed tomorrow with a performance at the Middle of the Map Festival in Kansas City, MO. Numan’s most current tour schedule is listed below. More information on Splinter (Songs From a Broken Mind), Gary Numan’s latest live dates and more is available online at http://www.facebook.com/GaryNumanOffcial, http://www.garynuman.com, and http://twitter.com/numanofficial. To keep up with the latest sports and entertainment news and reviews, go online to http://www.facebook.com/philspicks and “Like” it. Fans can always keep up with the latest sports and entertainment news and reviews in the Phil’s Picks blog at https://philspicks.wordpress.com.